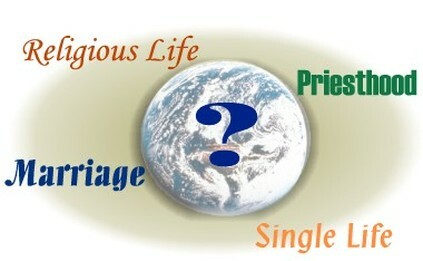 How does a disciple of God discover his/her vocation? Many holy men and women pray to God and ask Him to help guide them and direct them along their way through life. Sometimes God will help us through life in a pleasant way that we appreciate. But sometimes we will have to go through struggles, which I think helps to build our faith in God and draw us closer to Him. If we pray to God and ask Him what He would like our vocation to be, He will eventually answer our prayer. Praying is a great way to discover a vocation. When we pray, it builds a strong relationship with God. The more we pray, the more intimate our relationship with God becomes. So, pray to God, ask Him what He wants you to do, and be ready and willing to do it. You also need to make sure that when you pray there is some silent time so you can hear God’s answer. Sometimes God calls us when we’re least expecting it. For example, I heard a story about a woman who was journeying on the Walk to Mary. While she was walking, she felt God calling her to be a nun. God calls some people to their vocation through unexpected miracles. God performs many miracles. Maybe you might encounter someone on the side of the road, and God might inspire that person to tell you your vocation. Maybe you have visions or dreams about a future vocation; I know I have visions, but I haven’t figured out what specific vocation God is calling me to yet. God has a plan for each of us and, eventually, in some way, we will all discover our vocations. A vocation is a great gift from God, but we have to choose to accept it or leave it. “Vocations; your life was made for it, your soul depends on it.” That quote by an unknown author holds deep meaning. We did not design vocation. We receive our vocation from God. Fr. Mike Schmitz states that, “God knows you better than you know yourself.” That’s obviously true. He created you, so He’s going to know you better and know what your vocation should be. He knew who you were going to be from the moment He created you. God also loves you more than anything, and He wants you to discover your vocation, His plans for the rest of your life. You can trust God because He loves you and knows you. He is not trying to fool you. Go to where God is calling you, and you will be very joyful. In 1 Peter 4:10 God declares, “As each has received a gift, serve one another, as good stewards of God’s varied grace.” Ultimately, listen to God speaking to you, and whichever vocation He leads you to, use your gifts and your vocation to help others become better disciples. The Serra Club of Green Bay’s 6th Grade Vocation Essay Winner by Hannah Greisen.